The couple had Fortunate Restaurant cater the Chinese buffet line with a live Peking duck carving station. 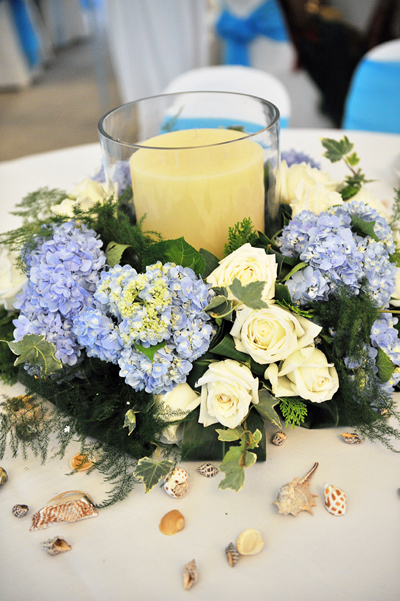 The station had blue lights emanating from under the table which matched the colour theme of the wedding. 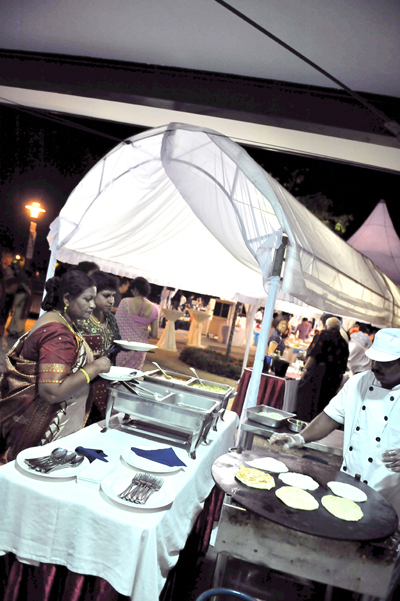 The Indian buffet line was catered from Gayatri along Race Course Road. They had provided their own service staff who served up piping hot pratas at a ‘live’ prata station and curry all night long. The selection of cakes and desserts were ordered from Coffee Club. Cake stands are the couple’s own. 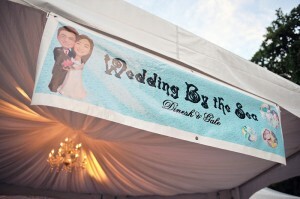 The florist (greenacres.com.sg) took care of the canopy decor, table centre pieces and wedding car decor. The couple had a few of their personal decoration items to put up which the florist gamely offered to install for free. 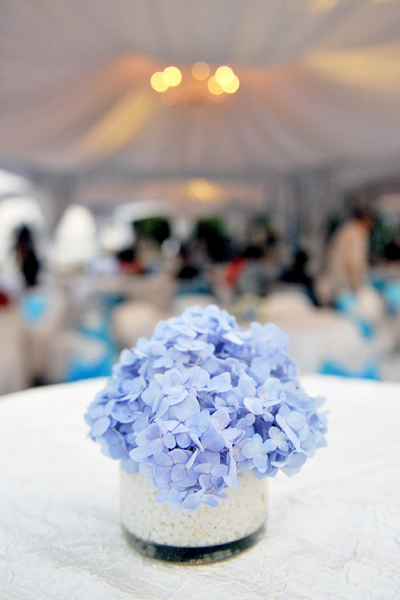 The florist is situated at Thomson road, which they are actually called CANDY FLORIST. 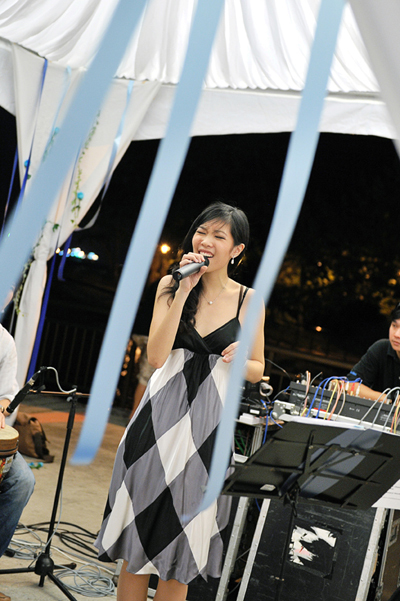 The wedding band was from NUS Jazz band, with lead singer Sarah Cheng (http://sarahcheng-dewinne.blogspot.com/) fronting the group. Many of the guests liked her and the band even though they were semi-professional! Check out her performance at the wedding by clicking here. The couple had a blast on their special day which was unusual and informal. All guests were already looking forward to the wedding and many said it was most original, fun and lots of effort and detail in the setup. Want an outdoor wedding like this? Ring Eleanor at +65(6482-8266) for a no-obligation consultation. Images: Dinesh & Gale (No reproduction or publication of the above photographs are allowed without consent from ows.com.sg or from the couple). 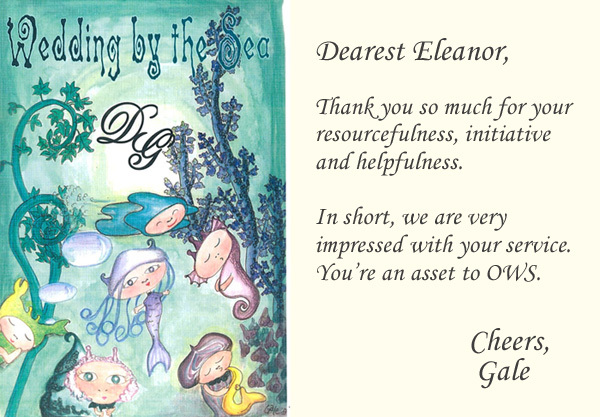 View the couple’s testimonial here. 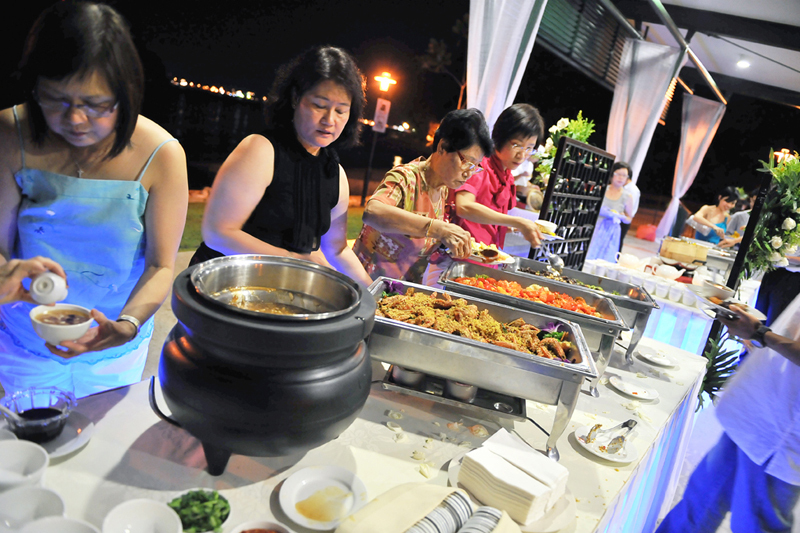 Hi i am equiring to see what are your prices like for a reception at Labrador Park @ July 2011? simple decorations.. like the above couples..
planning end of next year 2011. 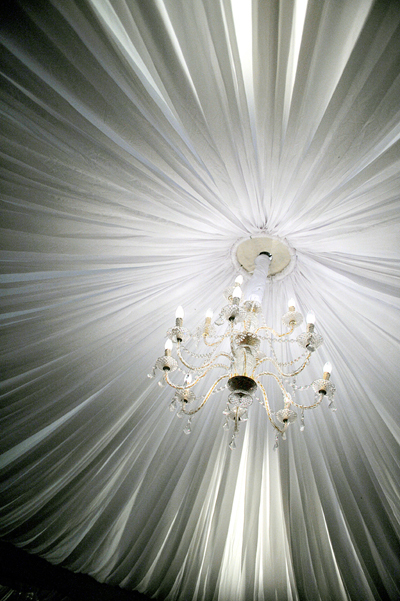 I’m planning to have my wedding dinner sometime in Dec 2011/Jan 2012. About 400-500 guests, halal buffet. May i know your rates? Can i enquire your rates for a 11 to 6 event probably enough for abt 20-25 tables. Thanks! Hi there, i will be getting married in June 2011 n would love to have an outdoor wedding like the one above. Can i know how much it will cost for about 200 guest, international buffet (halal)? Loved the look and feel of the wedding above.. was wondering if there are any other locations with the similar seaside/outdoor/ concept. I’m looking at 250 pax, with indian food menu (buffet). What time can we have the place till? Hi, planning to wed in dec 2011. Would like to know the pacakage rates for about 200 guests, international buffet. Kindly email me thanks! 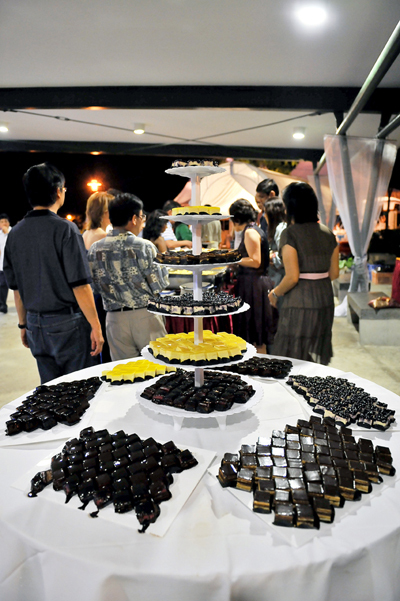 Hi, i am interested of having my ROM/ solemnization on 06/06/11 evening for abt 50 to 70pax. Can you send me the quotation and wedding detail? Thanks!! Hey, can i get a quotation for approx 400 guests in Sept 2011? 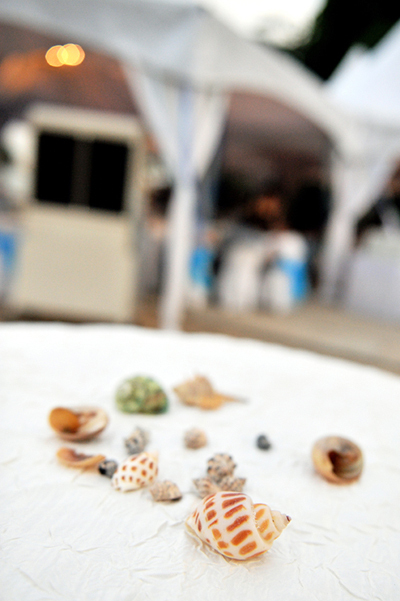 Hi, i would to hold have a beach solemnization on either on 22nd Oct, 12th Nov or 20th Nov 2011 for about 30 to 40 pax. The solemnization should start either 5pm or 7pm, therefore the whole event should be about 4 hrs from either 4pm to 8pm or 5pm to 9pm with a buffet dinner. Any proposal or quotation from yor side will be greatly appreciated. Hi. Am planning for Sept / Oct 2011. Could you please send me a quotation for 150 – 200 guests? Thanks. I’d like to have an alfresco wedding lunch or dinner, similar to the pictures above. Considering 10-14 tables. Could you provide me with some info? Am interested to hold my wedding here. Its would probably held in 2012. Am intersted in knowing the packages you can offer, let me know the min. table. Either a buffet style or a chinese banquet. I would like to have an outdoor solemnization during either Sept or Dec 2011, Can I know your package rates and what is included in it ? Appreciate if you could reply me asap. Hello! We’re planning to hold an outdoor ROM Reception for approx 30 to 40 pax. Could you kindly give us a quotation or any other packages that you may offer? 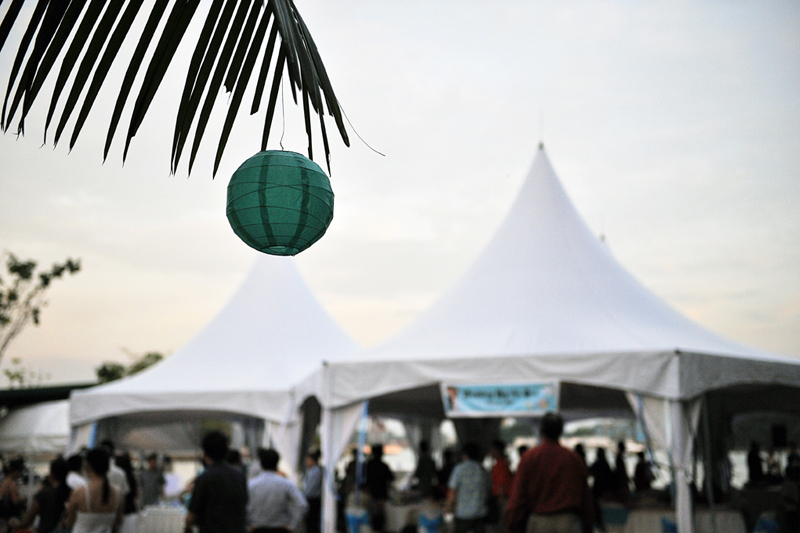 I would like to have my solemnization by the beach sometime early 2012. Can i get a quotation for marquee hire, tables n chairs for 150 pax? Thanks! I’m interested to have an outdoor wedding early 2012, preferably in a garden setting. Am open to either a chinese setting or a buffet. Could you please email me your package rates? Am looking at about 300 guests. Sorry, i meant late 2012. Wow! Love the setting! Well, we are looking to hold our ROM in a nice, unique outdoor location with pleasing decor. We are expecting 150-200 guests and yes we have a tight budget of about $10000. You think you will be able to work around that? 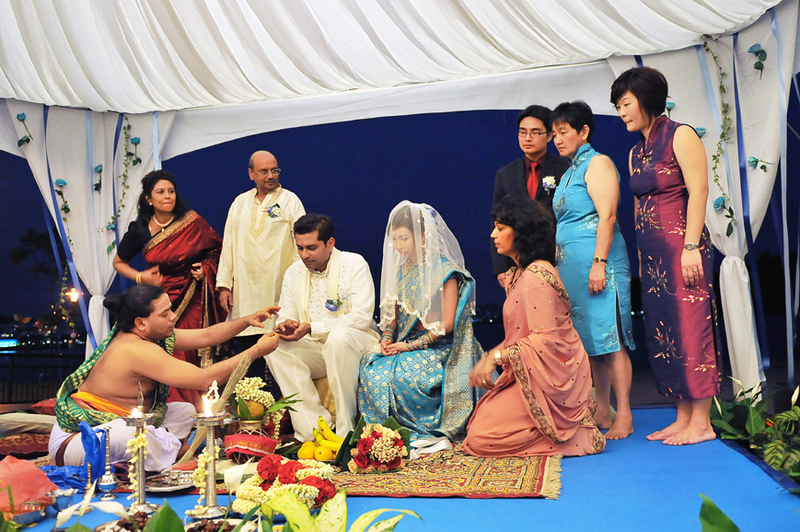 We have a tight budget because we are doing our ROM this year end and then our traditional Indian wedding next year. So that’s the reason why! 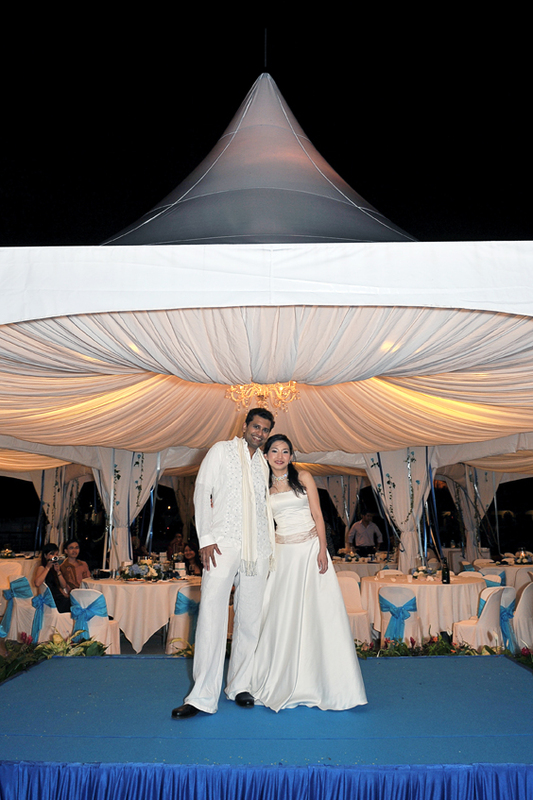 Hi…Love the marquee tents… may I know how much would it be to rent those type of tents for my wedding? Hi, i wish to have a memorable ROM in sept 2011. Maybe between 20-40 pax. Please email your package rate and details. Most likely will include a buffet. I’m very impressed with what you have done for the couple in the pictures. I really won’t mind doing the same. Event is solemnization for myself. I will like the same kind of food, decor. Kindly gimme a quote through email with the breakdown and a price quote to this number 93886898 asap. Event date is 2 Dec.
Time: 2000 hrs till late night..
Btw what is the comtigency plan if it were to rain? Will all guest be well sheltered? Do kindly advice. Please advise how much would it cost to have a similar tentage and setup? expected no. of guests would be between 200~250 and is it possible to have such layout at emily hill? I am interested in holding a similar event, but for approx 60-80 guests. how much would it be? hi there,this was a very well planned event, I loved it.I will be holding my ROM at the 1st or 2nd week of november. Could you pls qoute me(or give me a break down) if i have 250 guest and my budget together with food would be $12,000 to be exact..Thank u so very much.. I am enquiring a similar wedding set up for 500pax. We have our own caterer for the food..
I’m looking for a similar buffet plus live station set up for my solumnization on November, about 100pax. Can you send me the quotation? Do you have any venue to suggest as well? I’m looking for something similar and abt 200pax for 23 Mar 2013. Is the venue still available? Pls let me know more info. 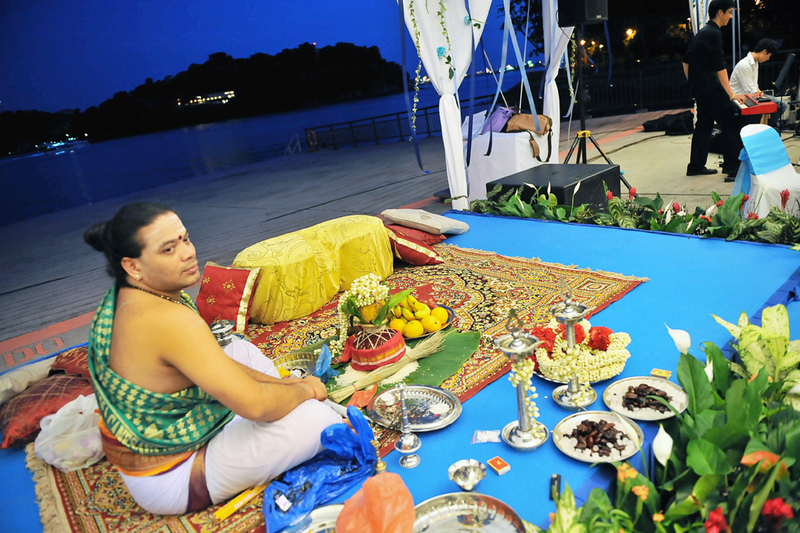 Please send me a quote for package and service for 200 pax, Malay wedding at Labrador Park on 29 December 2012. We are planning to opt for our own caterer. I have contacted you via email. Please send me a quote for 70-100 guest for ROM in 4-5 months time. It will be in the afternoon. Would like to enquire regarding your outdoor solemnization packages.. especially the one on display now..
I’m looking for a venue with everything inclusive. Please contact me as we could discuss further. 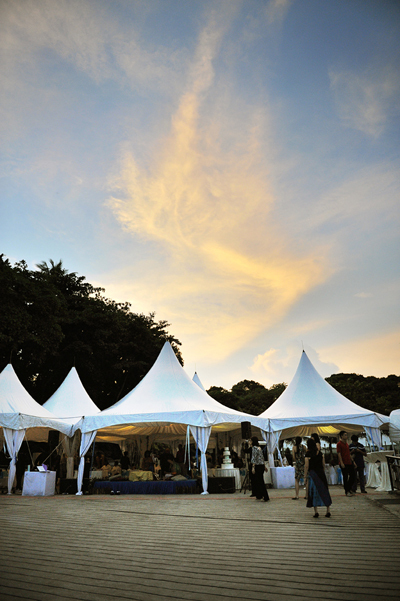 We are keen to hold our wedding at Labrador Park on Oct 2013. Appreciate if you could send me a quote on your package. It looked amazing! I would like to know the rates for an outdoor wedding reception like the one above, for 300-350 pax. Planned for September 2013. How much roughly does it cost, all in all, including food, decor, sounds etc. 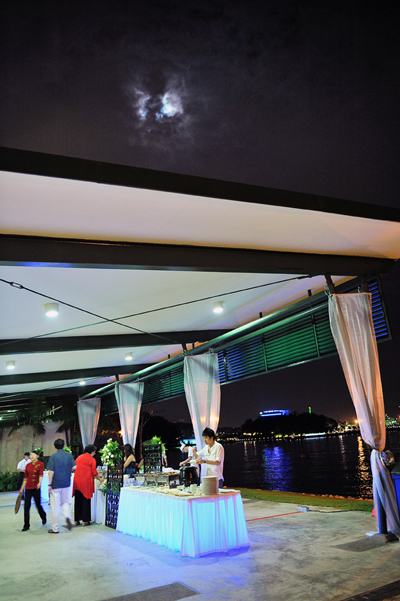 Also, besides Labrador Park, are there other outdoor places where the reception can be run till midnight? Hi.. was just wondering how do you guys clear the utensils after being used. Is there a washing area around there?